The SFR Shake Flask Reader monitors oxygen and pH in up to 9 Erlenmeyer flasks, cultivation tubes, or T-flasks simultaneously. It fits in nearly all standard shakers. 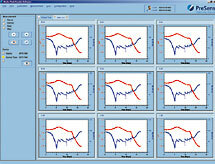 Measurement data is transferred wirelessly via Bluetooth to your PC / notebook. The corresponding ready-to-use vessels contain pre-calibrated sensor spots. 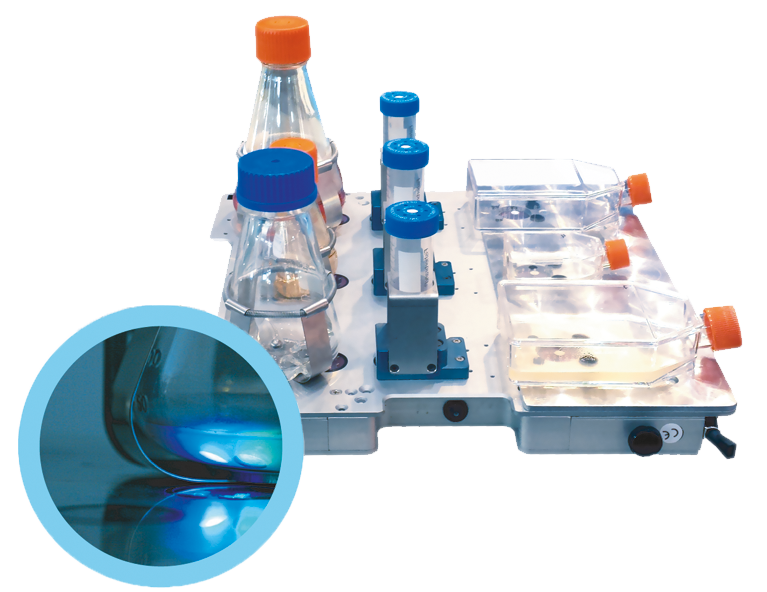 The system monitors non-invasively through the transparent bottom of the vessels. Different types and sizes of flasks and tubes are available. 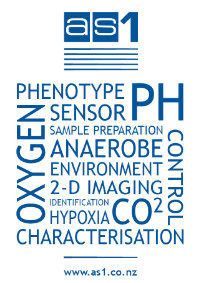 Plastic, disposable flasks contain pre-calibrated oxygen and pH sensors. Glass flasks are equipped with autoclavable oxygen sensors only, and can be re-used.